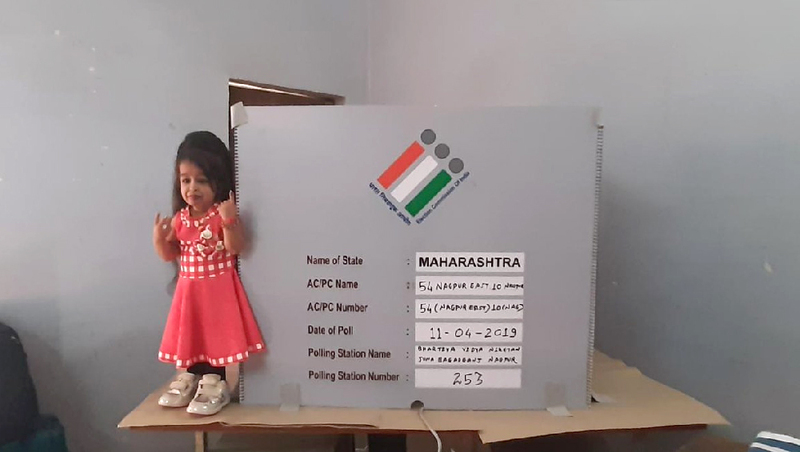 World's smallest living woman, Jyoti Amge caste her vote at a polling station in Nagpur, Maharashtra today. Jyoti grabbed eyeballs as she entered the polling booth and proceeded to vote. Her popularity peaked in 2012 with her guest appearance in reality TV show Bigg Boss 6. After voting, Jyoti took to Facebook sharing pictures of her inked finger. At the poll booth, she was quickly recognised by people who greeted her warmly. India will vote for the Lok Sabha Elections 2019 in seven phases beginning today. 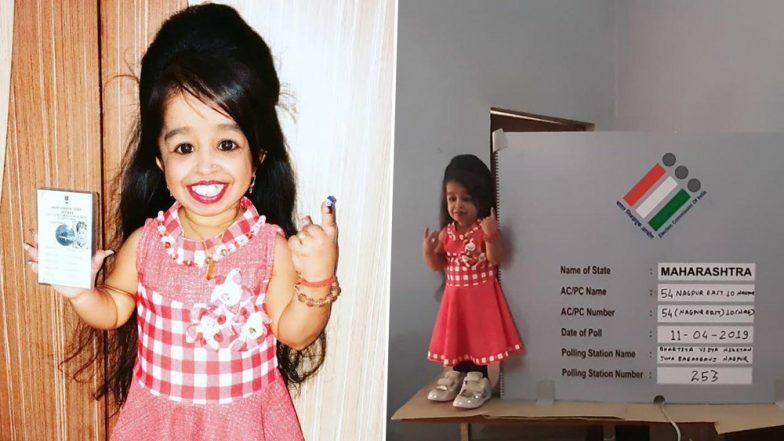 Dancing Voter From Bandipora in Jammu and Kashmir is Winning Hearts on Social Media Amid Phase I Voting For Lok Sabha Elections 2019; Watch Video. Jyoti has also acted in American and Italian television series. She even has her own statue in the Celebrity Wax Museum in Lonavala, Maharashtra. Senior voters also came out in large numbers in several constituencies. 107-year-old Sumitra Rai was the oldest voter in Sikkim, while a 92-year-old senior citizen voted in Gondia district in Maharashtra. A 104-year-old Lakhi Paul was the oldest to vote in Charaideo district of Assam. 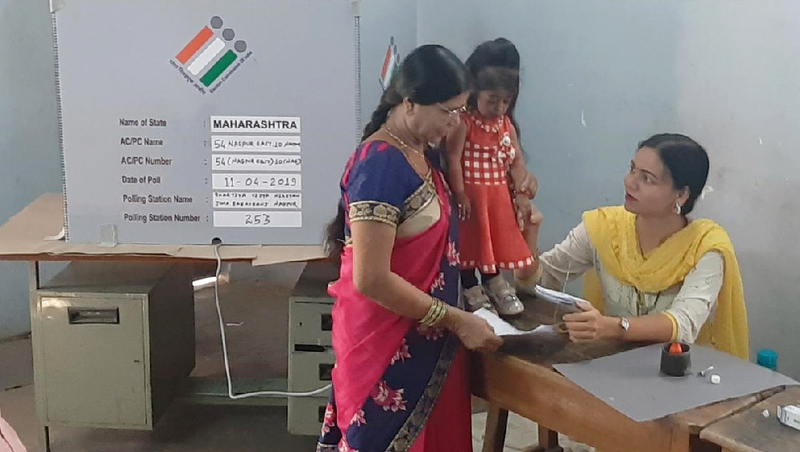 The first phase of voting began today in 91 Lok Sabha seats across 20 states and Union Territories. The polling will be held in seven phases and with the last one scheduled on May 19. The results will be held on May 23.